The price for each tour is €40,00 (including travelling and lunch), registration and payment will be done during the registration process on the website. Robotics research at Jacobs University is demonstrated in the morning part of the tour. Jacobs University is a private research university founded in 1999. It has a highly selected, international study body and a residential college system. 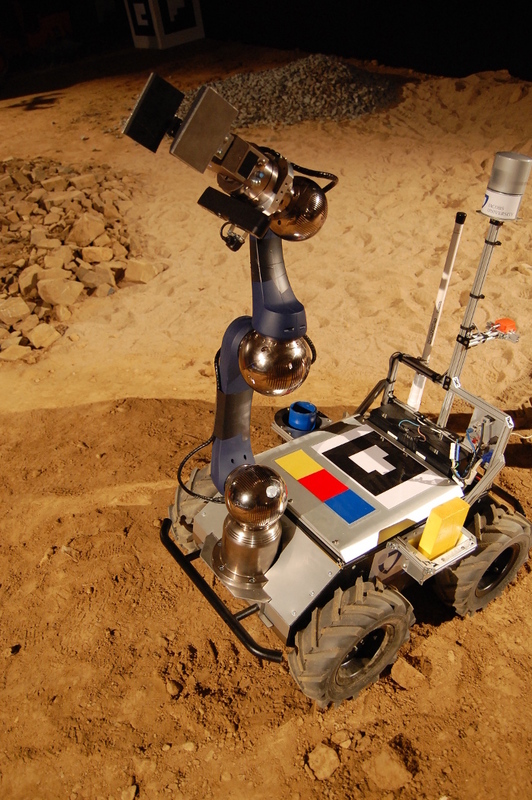 Robotics research at Jacobs started with the very beginning of research and teaching activities of the university in September 2001. Jacobs University offers among others a flagship BSc program on “Intelligent Mobile Systems”. 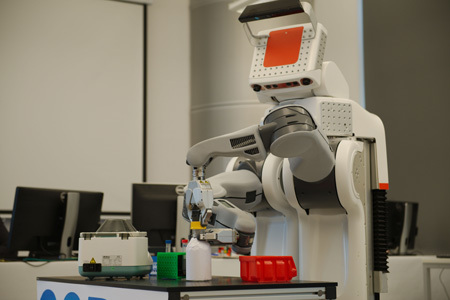 The tour at Jacobs University features several demonstrations from different research groups that engage in multiple international and national robotics research projects. For example, research on 3D perception and world-modeling is demonstrated in challenging unstructured environments. The demonstrations include object recognition and manipulation in cluttered scenes, especially for logistics applications, and very robust 3D mapping featuring novel registration methods and new ways to cope with outlier rejection in SLAM, demonstrated among others in underwater applications. 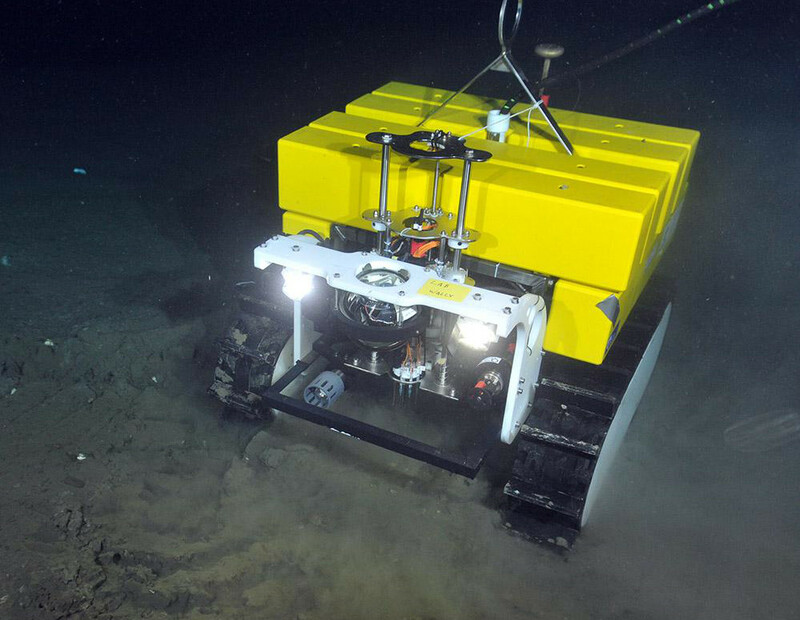 Marine robotics is also the topic for the demonstration of “Wally” – a Deep Sea Crawler that serves as a universal device carrier for ocean sensors that can be operated via the internet from all over the world and that will be operated live during the tour. Research on Affective Computing and Social Robotics is also shown on the tour. This includes the presentation of a laboratory setup for the assessment of physiological and expressive emotional reactions in the context of human robot interaction and the demonstration of a standardized set of sounds (The Bremen Emotional Sound Toolkit BEST) for use as nonverbal acoustical emblems for Robot-Human Interaction. The Robotics Innovation Center (RIC) of the German Research Center for Artificial Intelligence (DFKI) and the Robotics Group at the University of Bremen welcome the participants of the IROS 2015 for guided tours through their laboratories and testing facilities. The DFKI, based in Kaiserslautern, Saarbrucken, Bremen and leading a project office in Berlin is the world’s largest research center in the field of Artificial Intelligence. The Robotics Innovation Center, headed by Prof. Dr. Frank Kirchner, develops robot systems to be used for complex tasks on land, under water, in the air, and in space. 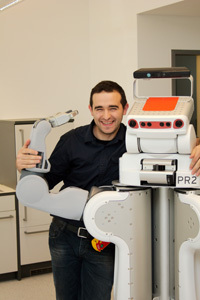 The RIC closely cooperates with the Robotics Group at the University of Bremen. The guided tours start at 2:30 pm in the DFKI-building at Robert-Hooke-Straße 1 in Bremen. During the visit the participants will pass different labs – for example the 1,300 m² Maritime Exploration Hall, which is unique in Europe, and the Space Exploration Hall, where robots are tested under realistic conditions – and see multiple robot systems, which were developed at the DFKI and will be demonstrated by the scientists. The Institute for Artificial Intelligence (IAI) directed by Prof. Michael Beetz is part of the Faculty of Computer Science at the University of Bremen. 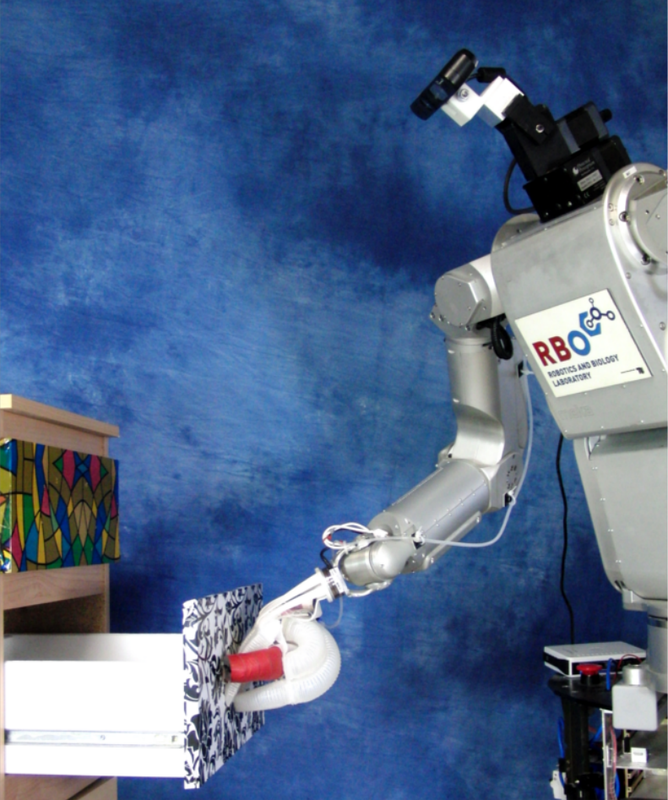 The research group investigates methods for cognition-enabled robot control. The research is at the intersection of robotics and Artificial Intelligence and includes methods for intelligent perception, dexterous object manipulation, plan-based robot control, and knowledge representation for robots. The team will demonstrate results from the EU projects RoboEarth, RoboHow, SHERPA, SAPHARI, and ACAT as well as from the RoboSherlock project funded by the German research foundation (DFG). Live demonstrations will be presented which cover a variety of complex manipulation tasks, including popcorn making and a chemical experiment. The focus will be on AI-based technologies for perception, knowledge representation, reasoning, and plan-based control. The presentation at the University of Bremen will also feature the new web-based cloud-robotics platform openEASE, which is intended to facilitate the exchange, retrieval, semantic annotation, and re-use of big data both in the AI and the robotics community. The Robotics & Biology Laboratory, ​headed by Oliver Brock, focusses on research in mobile manipulation. The group develops solutions for mobile manipulation that tightly couple various aspects that traditionally were considered separately (e.g. hardware, planning, control, perception, etc.). The concept of interactive perception, for example, considers perception and manipulation as inseparable components of a single problem, leading to novel solutions both in perception and in manipulation. And the lab’s grasping research combines the development of novel hands with associated planning and perception algorithms. The lab will present the resulting mobile manipulation capabilities in various demonstrations, amongst them a demonstration from the Physical Exploration Challenge DFG project in collaboration with the Machine Learning and Robotics Laboratory from Universität Stuttgart, headed by Marc Toussaint. 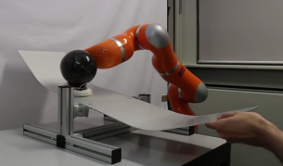 The Compliant Robotics Lab, headed by Ivo Boblan, investigates how compliant and resilient control can be implemented in both actuators and supporting structure. Inherent compliance of systems is the key for safe interaction between humans and robots. The way how the total compliance should be divided between the construction and the actuators, is a main subject and mission of the lab. Since 2015 the group has a mandate, received from the Federal Ministry of Education and Research (BMBF), to work out the principles/basics related to a human-centered human-robot interaction (HRI) within the scope of demographic change. An interdisciplinary team of researchers from the fields of robotic engineering, biophysics, science and technology studies, neurobiology and interaction design has come together to investigate criteria and possibilities of a successful HRI with a holistic approach. For this purpose an HRI FabLab is built to experience and develop HRI with participants of all areas of society. Furthermore an associated HRI network of representatives of organizations and industry will evaluate the results. 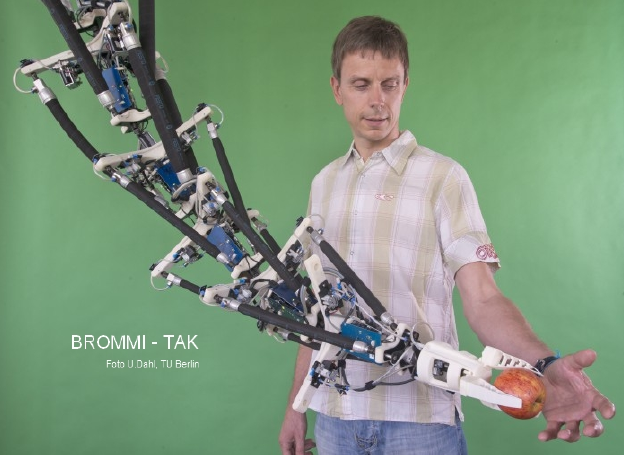 The group will present a robotic manipulator according to the role model of an elephant's trunk, which was developed in a former project BROMMI:TAK. The research focus Rehabilitation Engineering and Assistive Technology, ​ lead ​ by Thomas Schauer, is part of the TU Berlin Control ​ Theory Group​. It focuses on feedback control and electromechanical design problems in biomedical engineering and the development of technical aids for the neurological rehabilitation of motor function disorders caused by stroke and spinal cord injury. 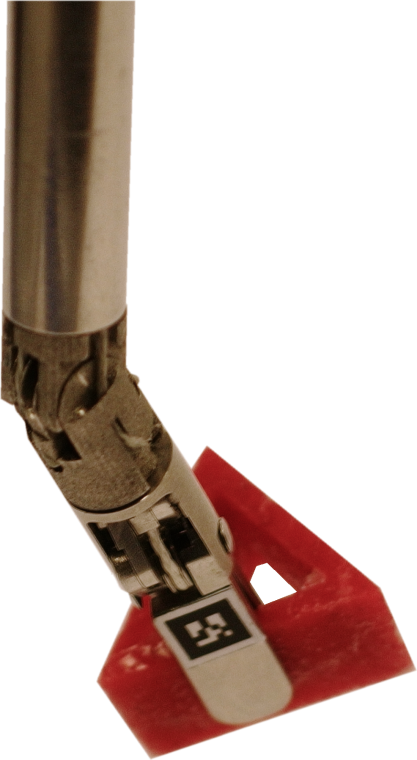 We will demonstrate how feedback­controlled neuroprostheses can be used to restore motor function in paretic limbs. To this end, we derive realtime motion parameters using adaptive inertial sensor networks. By means of functional electrical stimulation, we trigger muscle contraction and generate or support functional motions like grasping, cycling, and walking. Feedback control strategies are employed to follow predefined motion trajectories and to adjust the stimulation to the needs of the patient at all times. The Adaptive Systems Group, headed by Verena Hafner (Humboldt-Universität zu Berlin), focuses on topics in cognitive and developmental robotics. 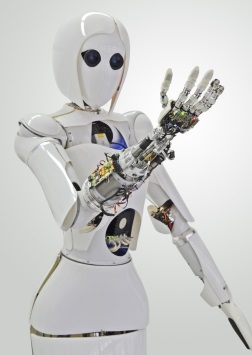 One of the lab’s current research questions is on sensorimotor learning and interaction, and approaches include internal models and exploratory behaviour with humanoid robots. 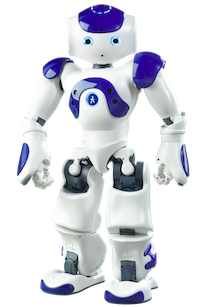 Within the EU project EARS (Embodied Audition for RobotS), the group focuses on embodied cognition and interaction, active sensing and behaviour prediction. Other projects are on joint attention, behaviour recognition, sensorimotor learning as well as biorobotics (spatial cognition, navigation, and neural modelling). The group also regularly participates in the RoboCup standard platform league with their NaoTH team. We will demonstrate internal models for egonoise prediction on the humanoid robot Nao as well as learning mechanisms for a swimming spherical robot. ReWalk™ Robotics is an innovative medical device company that is designing, developing and commercializing exoskeletons allowing wheelchair-bound individuals to stand and walk once again. Our mission is to fundamentally change the health and life experiences of individuals with spinal cord injuries. Current ReWalk™ designs are intended for people with paraplegia, resulting in complete or incomplete paralysis of the legs. 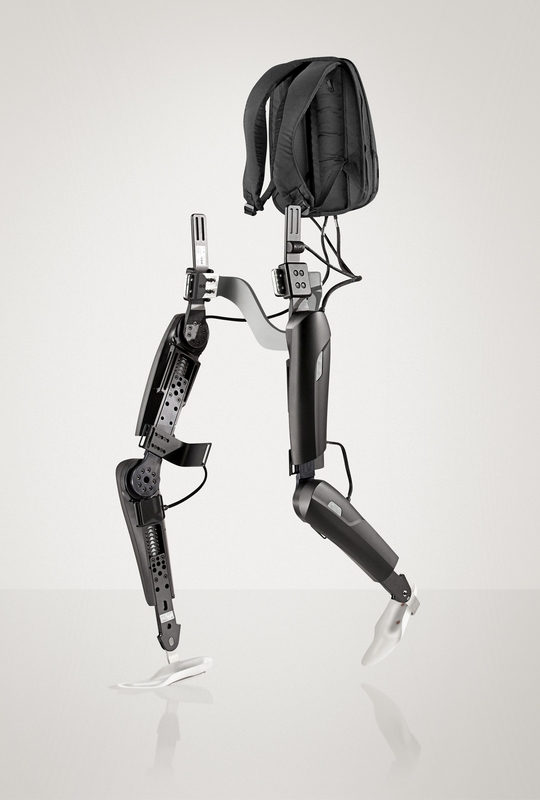 The system uses patented motion sensing technology along with battery-powered motorized legs powering knee and hip movement which is controlled by proprietary on-board computers and software. Subtle changes in center of gravity restores self-initiated walking. Repeated body shifting generates a sequence of steps, which mimics natural gait at efficient and functional walking speed. The ReWalk™ systems allows the user to sit, stand, walk, turn and has the ability to climb and descend stairs* (*stairs function not available in the USA). ReWalk™ users are able to independently transfer in and out of the system and operate the device on their own. 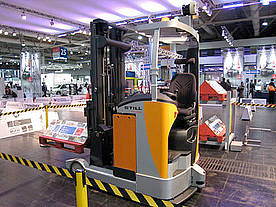 A ReWalker will demonstrate how to use and walk with the system during the exhibition. 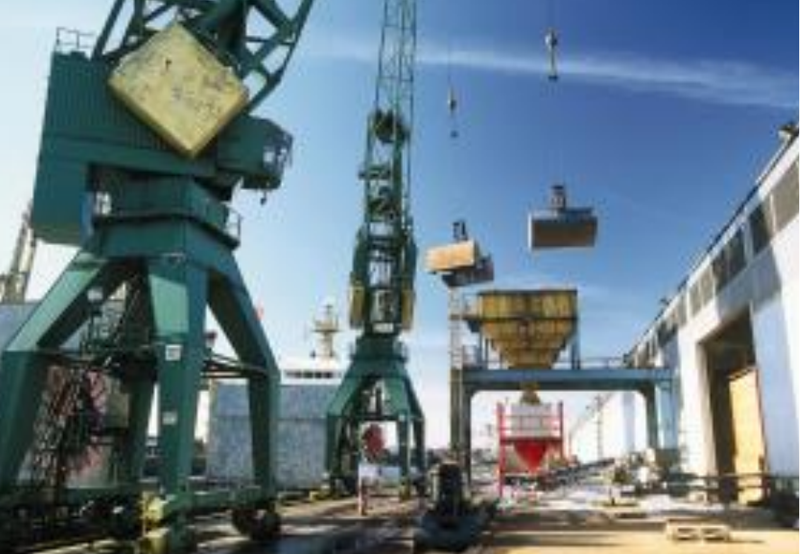 The “Gigantentour” is an enthralling tour through the Freeport of Hamburg. The bus tour leads the group right through the heart of the Hamburg port, passing by big freighters, huge container bridges and high cranes. Where normally the access is forbidden, the guests experience the dynamic of a world port. All around the clock goods are handled – that means discharged, charged, sorted, packed and marked. 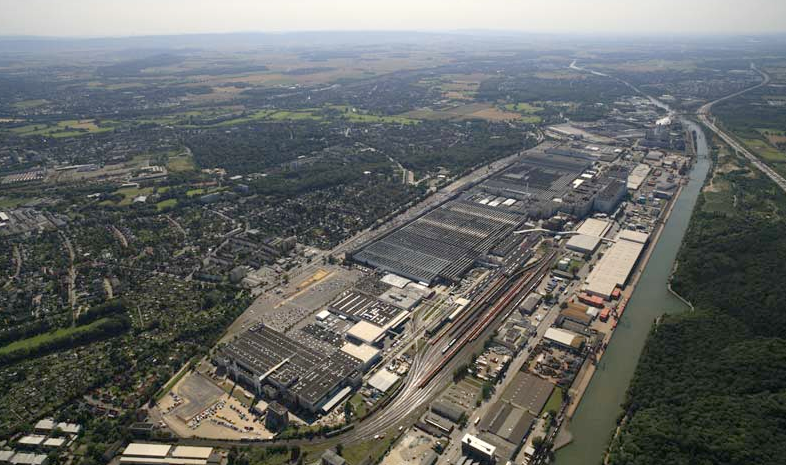 The tour shows the new Harbour city and the warehouse complex, goes over the Köhlbrandbrücke bridge, and down to the Hansaport, Germanys biggest port terminal for coal and ore. 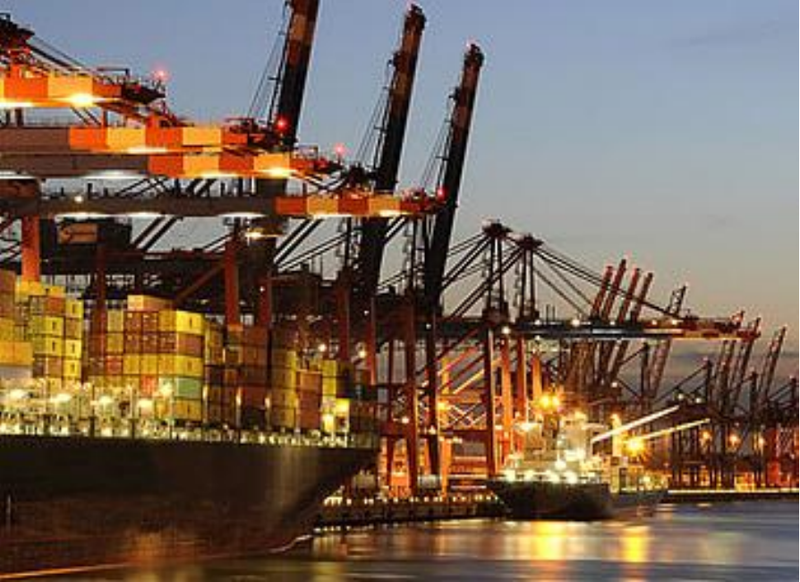 The group will visit the container port Altenwerder and then the bus will go directly to the Burchardtkai, which is the biggest dock site of the Hamburg port concerning size and the amount of containers. 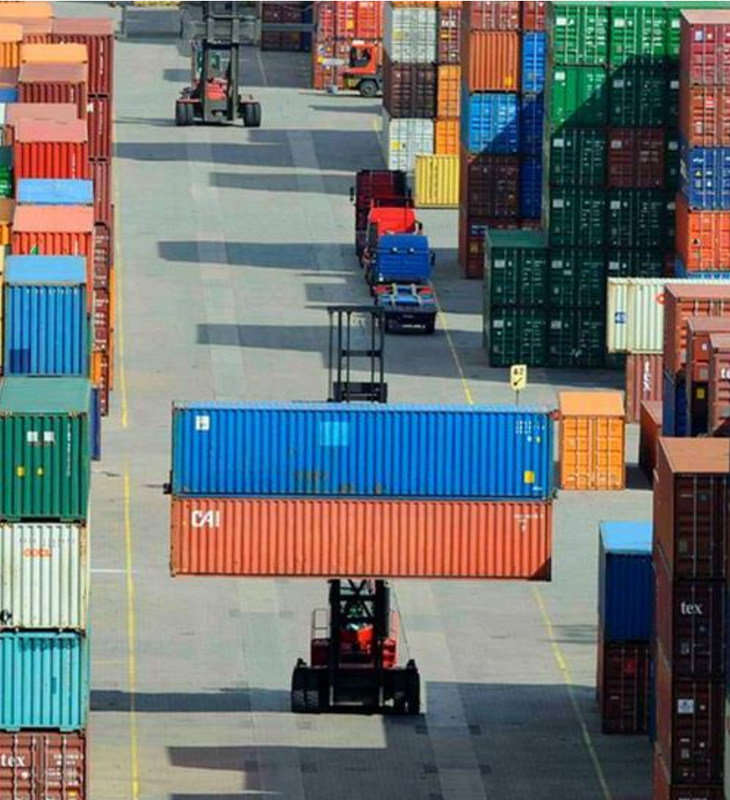 Visit the third largest harbour in Europe with an annual turnover of more than 9 million containers! 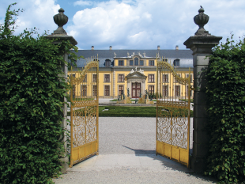 Please be aware that this tour enters a restricted customs area and the German customs authorities require every participant to register for this tour by name in advance and to provide a valid passport at departure. The registration process will be handled by the IROS-team, participants must be registered for the tour before September 25th! The great German mathematician and philosopher Gottfried Wilhelm Leibniz lived and worked in Hanover from 1676 until his death in 1716. In memory of his outstanding achievements and contributions, Hannover’s university was named after this outstanding polymath. 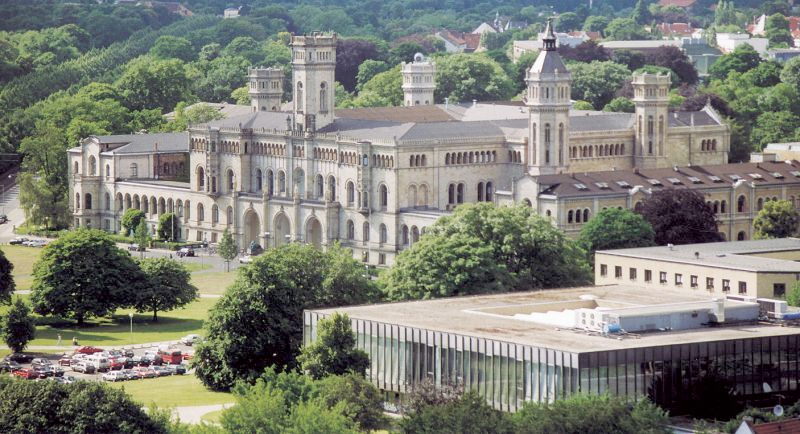 With more than 25.000 students in natural sciences and engineering, humanities and social sciences as well as in law and economics, LUH is the largest university of the State of Lower Saxony and member of the major German Technical Universities (TU9). Robotics research and interdisciplinary research with medical sciences has a long-standing tradition in Hannover, where e.g. 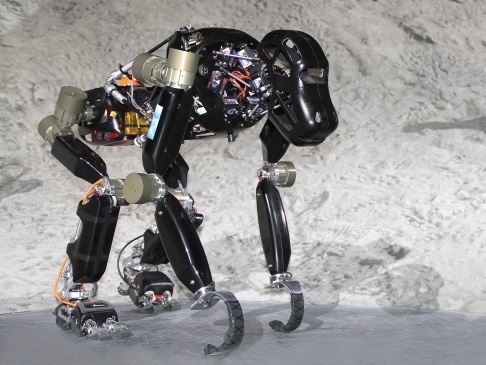 the first German dynamically walking biped was developed. LUH offers a highly interdisciplinary robotics and mechatronics program, where students can e.g. specialize in “automation and industrial robotics”, “service robotics and autonomous systems”, or “automatic control and systems dynamics”. During the first part of the tour you will visit the robotics labs of LUH, which warmly welcome the IROS 2015 participants for the guided tours! The Institute of Automatic Control (IRT) develops novel methods and intelligent robotic systems based on the tight interconnection of theories and algorithms from automatic control and dynamical systems, human motor control and machine learning. IRT’s emphasis lies on safe physical human-robot interaction (pHRI), soft-robotics control, real-time motion and action planning, and the unification of model-based control concepts with state-of-the-art machine learning approaches. IRT’s has e.g. pioneered in the field of high-speed collision detection, classification, and reflex reaction for torque-controlled robots, humanoids or flying systems. Further central research domains of IRT are the analysis of potential human injuries suffered from robot-human collisions, the understanding of human reflex mechanisms, and the systematic embodiment of these insights into new control and planning algorithms. During your visit at IRT, you will have the chance to see latest results in unified force/impedance control embedded into a general framework for safe physical Human-Robot Interaction (pHRI) for several state-of-the-art robotic systems. Furthermore, the embodiment of principles from human motor control into novel robot control algorithms for sensitive manipulation and self-protection will be presented. 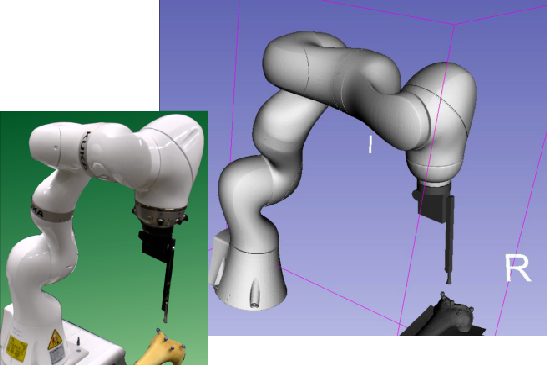 Finally, the tour will also cover semi-autonomous, assisted teleoperation of soft-robots for remote assistance via intuitive multi-modal HMIs. The Institute of Mechatronic Systems (imes) deals with scientific questions and applications, which go beyond the limits of the involved technical disciplines and, therefore, require a holistic approach. Our work on both fundamental research and application-oriented projects is characterized by a high degree of interdisciplinarity and requires the versed application of latest modeling, control theory, parameter identification, as well as numerical optimization techniques. 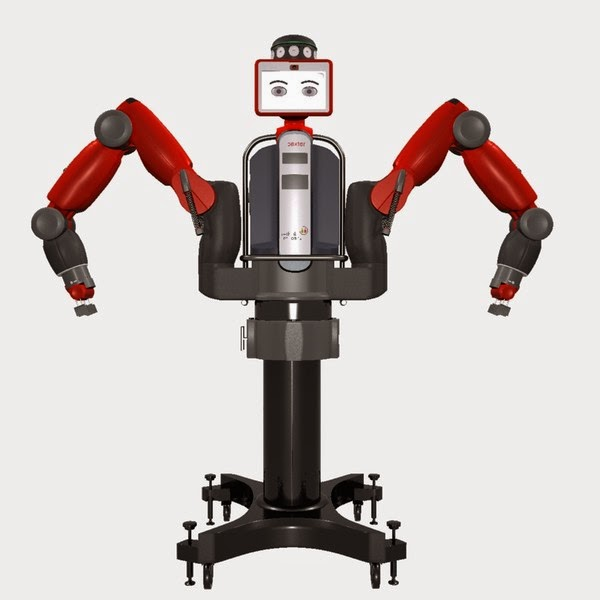 The Institute is organized in three collaborating research groups: The Robotics & Autonomous Systems group is characterized by its expertise on multi-body dynamics modeling, model-based robot control, and optimal motion planning. The Medical Systems & Vision group focuses on innovative projects in the field of instrument engineering and computer assisted high precision surgery in close cooperation with medical experts, engineers, and computer scientists. 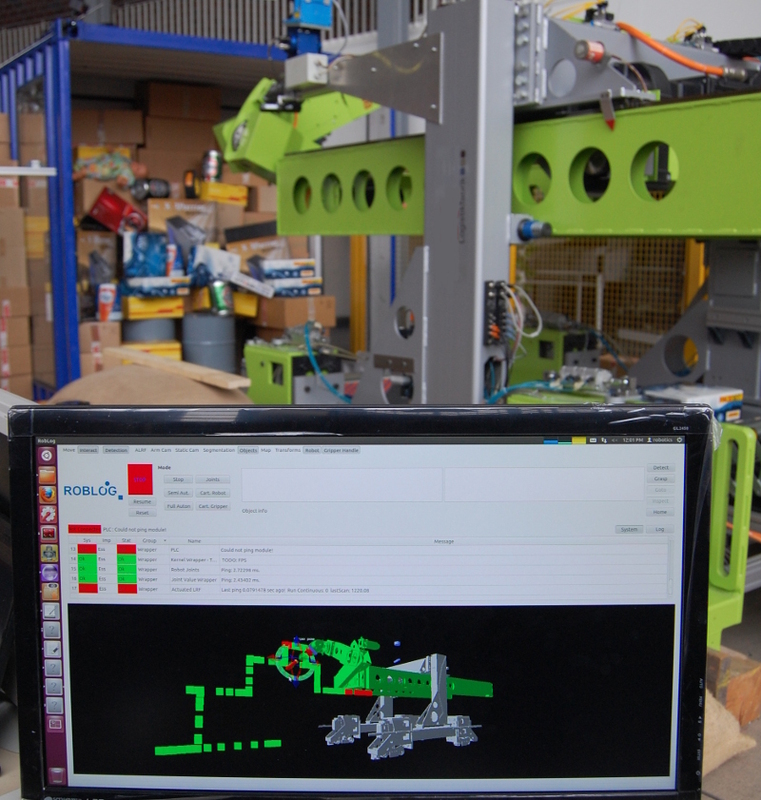 The Identification & Control group specifically works on advanced model-based control and identification approaches for versatile mechatronic systems including real-time state and parameter estimation methods. During the tour, guests will visit our research laboratories for industrial robotics and for medical technology including demonstrations of latest project advances. Optimal path planning methods for energy efficient control and vibration suppression of serial and parallel robots will be presented besides several applications in the field of computer and robot-assisted surgery. Additionally, the student RoboCup@Work team of the university will give an overview about our innovative practical teaching concept and their latest student research activities, e. g. in the fields of localization, navigation, collaboration, object recognition, and mobile manipulation. The Real Time Systems Group focuses on the following areas: planning of complex technical systems, modelling and analysis of event-discrete systems with formal methods, software development methods and devices in the automation technology as well as in the programming and testing of embedded, networked control devices under the aspect of real time, reliability and security. The respective applications range from systems automation with industrial, programmable logic controllers to event-discrete (reactive) control of autonomous, mobile robots with embedded micro-controls and real time operating systems like fair guides or autonomous forklifts. 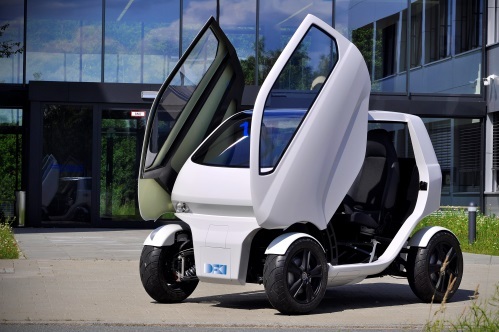 Currently, the RTS research projects can be assigned to the following areas: Mobile Service Robots and Distributed Realtime and Automation Systems. During the visit at RTS newest results from different robotic projects in the area of multi-modal perception (including radar and thermal sensors) and disaster robotics (e.g. EU project SmokeBot) will be shown. 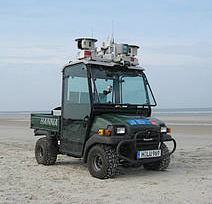 We also present HANNA, an autonomous vehicle used during European land robot trials (Best Autonomy Award ELROB 2010). 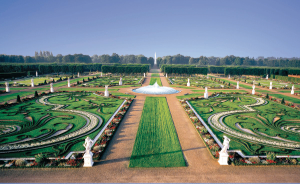 The second part of the tour will cover the Royal Gardens of Herrenhausen, a world-famous ensemble of garden arts and culture that ranks among the top historical gardens in Europe. On the way from the LUH lab tour towards the manufacturing site of Volkswagen Commercial Vehicles, you will have the unique chance to walk in and explore the royal gardens, while enjoying lunch in this magnificent environment. The final part of the tour will span towards well-known German automobile manufacturing. The Volkswagen Group with its headquarters in Wolfsburg is one of the world’s leading automobile manufacturers and the largest carmaker in Europe. In 2014, the Group increased the number of vehicles delivered to customers to 10.137 million (2013: 9.731 million). 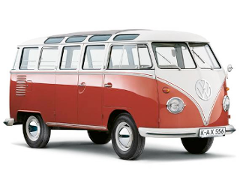 We will visit the Volkswagen Commercial Vehicles manufacturing site in Hannover, where among others, the 6th generation of the famous VW Transporter („Bulli“) is manufactured.